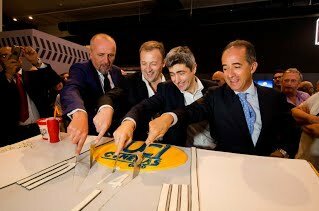 ODEON Cinemas Group is thrilled to announce its latest cinema opening; UCI Orio in Bergamo, becoming its 49th cinema in Italy. The cinema has 2507 seats and 14 screens. It has a brand new cafe concept, two full service retail areas, Bianco Vivo corner and an incredible Pick & Mix candy wall, with 500 boxes filled with 1.5 tonnes of sweets. 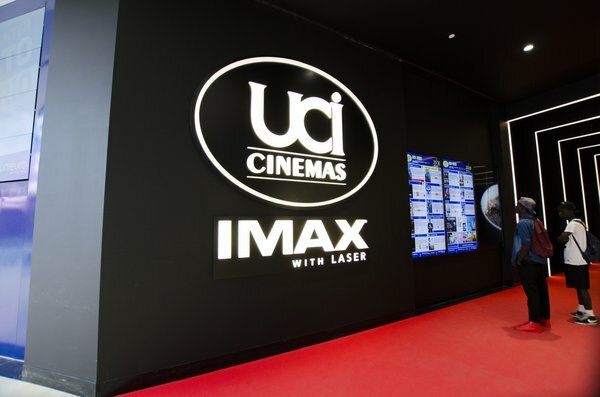 Soon, guests visiting the Oriocenter mall in Azzano will enjoy the world’s most immersive cinematic experience when UCI Italia’s new IMAX ® theatre opens on 24 June, launching with the release of Michael Bay’s ‘Transformers – The Last Knight’. This is Italy’s first-ever IMAX ® with a laser system and the largest IMAX screen in the country. UCI Orio is located within Oriocenter, the largest shopping mall in Italy and one of the largest in Europe. In addition to the IMAX theatre, the cinema offers a new cafeteria concept branded “Backstage Café”, a wide range of films and showtimes, SKIN UCICARD - the only loyalty scheme in the Italian cinema industry offering discounts and free tickets, the Cinefans pre-paid cards with five discounted tickets included, “skip the queue” digital ticket-purchasing services; and ATMs with the option to pay in cash at no additional charge. The cinema will cater for a wide range of audiences and tastes; showing blockbusters, arthouse films and films in English alongside live and pre-recorded events. It will open at 10am daily and offer special pricing for all guests on Sunday morning. It is also a fantastic venue for children’s birthday parties. “We are proud of our collaboration with IMAX which led us to open this cinema where our guests can live the best cinematic experience in Italy through vivid, bright and clear images never seen before on screen and a powerful and truly immersive sound. All of these factors combined help us with our mission: to create inspiring entertainment experiences for every guest,” said Andrea Stratta, Managing Director of UCI Cinemas. “These are exciting times for UCI, since we joined the AMC family last year, and our guests will love the experiences we are investing in for the future. This includes a fantastic partnership with IMAX to create some of the best cinemas in Europe.